Top Contributors - Aharon Love, Rosie Whelan, James Murray, Tony Lowe and Andeela Hafeez Read more. Obesity is a leading preventable cause of death and disease worldwide. Since 1980, the prevalence of obesity worldwide has more than doubled. The rapid increase in the number of obese people in the UK is a major challenge, as over half of the UK adult population could be obese by 2050. Research estimates that without a major shift in society’s attitude towards food and exercise and a change in individuals’ lifestyles, overweight and obesity costs in the NHS are projected to double to £10 billion per year by 2050. Substantial costs to society and business are also alarming being estimated to reach £49.9 billion per year. Obesity co-morbidities such as stroke, diabetes and heart disease are major public health issues within the UK. 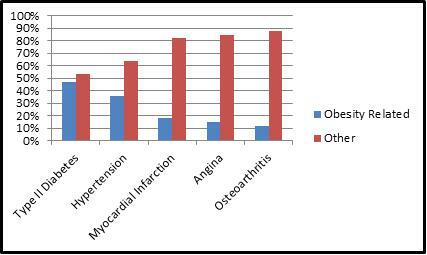 Figure 1 demonstrates health risks associated with obesity. The current problem includes the implications that obese patients have on secondary care for example, surgery and postoperative recovery. In addition, health and safety issues in the acute care of obese patients and the need for bariatric equipment, impact on the increasing costs in the NHS. The enormity of the problem has been recognized by the government with research and guidelines emerging in an attempt to help tackle this threatening epidemic. The National Institute for Health and Clinical Excellence guidelines on obesity advocated a multidisciplinary team (MDT) approach. The guidelines recommend that interventions are made up of different components, including strategies to increase physical activity and promote healthier eating. A more up-to-date publication of the Scottish Intercollegiate Guidelines Network support this with the recommendation that health professionals undertake dietary and physical interventions, including behavioural, pharmacological and bariatric surgery for managing obesity. However, how do you think this type of holistic patient-centred care can best be delivered? Should you as a physiotherapist undertake the responsibility to provide dietary and behavioural interventions? 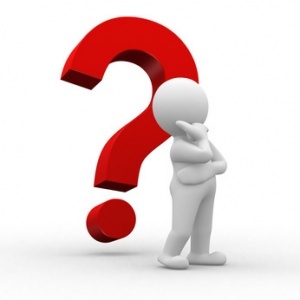 Or should all members of the MDT focus exclusively on their own fields of expertise? The Chartered Society of Physiotherapy (CSP) recognises that the prevention and management of obesity requires an aggressive and comprehensive approach that addresses the complex and multifaceted issues. However, to date there is confusion of the current role of the physiotherapist within the prevention and management of obesity, and physiotherapists have had a low profile in managing this condition as it is traditionally seen in terms of overeating. There is a great need for emphasis on the importance of exercise, activity and lifestyle as it is often not the focus in dietician led weight management programs. The Health Survey for England identified that 68-69% of adults either underestimated the amount of physical activity required to derive health benefits or were unaware of the recommendations. This area of expertise falls within the physiotherapist domain and it is crucial for physiotherapists to be at the centre of not only the management of obesity but in prevention and maintaining weight loss. The SIGN and NICE guidelines are produced in order to provide evidence based recommendations that can best guide practice in health care. Both organisations have produced guidelines outlining their recommendations for obesity management and prevention in adults and children. While both sets of guidelines outline the strategies that should implemented in order to tackle obesity, they fail to outline which professions are best placed to deliver these interventions. The CSP states that physiotherapists ‘help people affected by injury, illness or disability through movement and exercise, manual therapy, education and advice’. The CSP also state that physiotherapy provides a ‘whole person approach to health and wellbeing, which includes the patient’s general lifestyle’. Consequently, it can be concluded that physiotherapists can play a major role in obesity management. Physiotherapist’s have the skills to contribute directly to the recommendations for obesity management, including general diet and lifestyle intervention, prevention of weight gain, pre and post bariatric surgery care. The CSP report on the Obesity Steering Group outlined recommendations including ‘a call for increased recognition of the health promoting role of physiotherapy, along with improved signposting and the referral of overweight or obese individuals to physiotherapy services’. The report emphasises the need for increased support for the field of bariatric physiotherapy and recommends that physiotherapists who specialise in this area be routinely included in weight management teams. There are a number of NHS weight management services dotted around the UK in which physiotherapists play a pivotal role. The limited research investigating these ongoing schemes makes it difficult to determine the precise contribution that physiotherapists’ are making in the fight to combat the obesity epidemic. 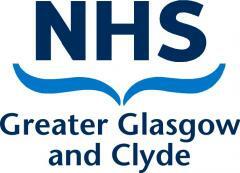 An example of an existing programme is the Glasgow and Clyde weight management service (GCWMS). The service is a referral based intervention offering a multi-modal approach towards weight loss. 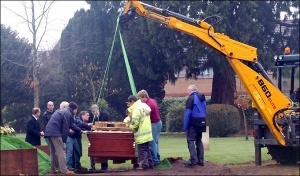 The service utilises diet, activity, behaviour, surgery, pharamacotherapy and weight maintenance. Physiotherapists play a central role in this programme and are responsible for delivering activity classes, providing one to one physiotherapy assessments and providing access and confidence to access community based activity programmes. Physiotherapists also provide individualized home activity programmes and provide chair based classes. The service has received recognition from the NHS Diamond Healthy Lifestyle Award and the National Obesity Forum Best Practice for excellence in weight management. In a 2011 evaluation, Morrison et al, found that the service was cost effective, clinically effective and that weight loss did not vary between patients from differing socioeconomic backgrounds. Whilst the research did not specifically evaluate the role of physiotherapists within the service, the findings suggest that the GCWMS is well designed and physiotherapists are a key component in the delivery of this service. Another existing programme where physiotherapists’ play a key role within a MDT is the Aintree LOSS weight management service (WMS). Physiotherapists in charge of this programme argue that ‘sustainable weight management’ is the way forward for physiotherapy treatment in the management of obese patients. Physiotherapy interventions should focus more on health promotion, patient well-being and improving quality of life and less on weight loss. They suggest that weight management interventions that emphasise weight loss, such as those typically adopted by slimming clubs, place significant psychological pressure on patients to lose weight. If the focus of weight management services changes towards objectives that are achievable, and less on what the weighing scales read, then patients are more likely to have positive experiences and maintain their new activity levels and lifestyle changes. Specialist bariatric physiotherapy is an emerging area of practice, and is generating a lot of interest due to the increasing number of obese patients that require surgery. Nevertheless, a lack of training, equipment, and facilities suggest not enough is being done to cope with the additional demands of these patients. An article on the CSP website titled, ‘Bariatric patients being failed’ poses the question, should bariatric care become an integral part of physiotherapy training in all degree courses, rotations and static posts? and specialist manual handling training. 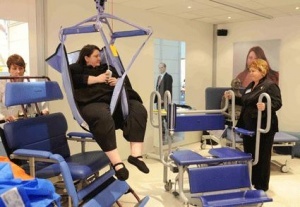 This should include training in the use of the necessary equipment, such as bariatric beds, hoists and walking aids, as well as carrying out the necessary risk assessments in the work place to ensure physiotherapists’ own safety. We also need to consider how to treat these patients with the appropriate sensitivity to ensure that patients’ dignity is maintained at all times. These are all new challenges that face physiotherapists and the profession, particularly in light of incidents where patient dignity has been compromised simply because of a lack of appropriate equipment and training in dealing with this type of patient. There are numerous challenges facing physiotherapists as the prevalence of obese patients rises. This raises several issues that must be considered if we are to fulfil our emerging role in providing an effective and efficient service in treating this condition. The CSP identifies the need for mechanisms to be in place to ensure obesity management expands into the wider community and not just those seeking support, particularly individuals in society that are hard to reach such as low socioeconomic groups, those with mental health needs and ethnic minority groups. Therefore, an expansion of multidisciplinary weight management programmes and increased awareness of these services available in the local area amongst health care professionals is vital. It is also recommended that early intervention is recognised by local health and social care professionals. Access to clinical weight management programmes are normally through GP referral or self-referral with the majority of these individuals requesting bariatric surgery rather than non-surgical support. This emphasises the need for raised awareness in the general population that bariatric surgery is recommended as a last resort when non-surgical interventions have failed and only appropriate in certain clinical circumstances. Further research on the effectiveness of the existing weight management programmes is needed for physiotherapists and other healthcare professionals to implement best practice in relation to the prevention and management of obesity. The CSP recognises that these services are highly variable and do not yet regularly perform adequate evaluation to monitor outcomes or incorporate the level of skill required to effectively manage bariatric patients. Therefore it is suggested that frequent evaluation of programmes through patient reported outcome measures, experience and clinical measures should be undertaken. This will ensure these patients are provided with the standard of care and service they need. For a MDT to be successful there needs to be consensus and cohesion among team members with a shared vision. Morris et al. identified that nutritional trends vary among different population groups and factors such as age, gender, race, ethnicity, geographic location and socioeconomic status all contribute to these differences. It is therefore essential that these factors are given due consideration during obesity management. Doing so will ensure that patient care is cost effective and meets the challenges of funding and staff cuts. One must ask is there enough time and resources for health professionals to individualise programmes for obese patients? If not, then current practises are not as effective as they should be! It has already been established that obesity is within the realm of physiotherapy and as a profession we have many skills to offer in the current epidemic. Recommendations outlined by the NICE guidelines on obesity stated that these guidelines were of interest for senior managers, GPs, commissioners of care and directors of public health, as these groups can influence policy and funding. They are also of interest to staff in primary and secondary care. These care providers need to co-ordinate for weight management interventions to be truly meaningful and beneficial. It can be hard for obese patients to understand which members of the MDT will be involved in their treatment. This lack of knowledge is perpetuated by the NHS website, which can lead the reader to believe that their GP is a one stop shop, and can provide them with all the necessary advice, from nutrition to exercise. This is devaluing the role that other health professionals can make in the eyes of the public. However if this is the case and patients are being directed to their GP it is pertinent that GPs are engaged in the process, and value the importance of the MDT and are willing to refer patients to the appropriate health professionals for further treatment when necessary. As obesity research continues, it is becoming apparent that behavioural psychologists can play a significant role in battling obesity. Adding cognitive behavioural therapy to dietetic treatment was more effective at preventing relapse in comparison to adding physical activity to dietetic treatment. Thus, there may be a bigger role for behavioural psychologists in the future when treating obese patients and they should be included in the MDT when treating obesity. Before this can happen, all health professionals within and outwith the NHS need to practice what they preach with regards to obesity, healthy eating and engaging in regular physical activity. It has been highlighted by Miller & Alpert, that obesity levels among health professionals is rife. The author's reported that a staggering 54% of nurses were obese. Therefore, this would suggest that even when people are well educated on the matter they still make poor lifestyle choices. The people who are at the face of this health change need to lead by example if any progress is to be made. There is a considerable amount of research that focuses on perceptions held by health professionals regarding people who are obese. Rogge et al. discussed the stigma that is attached to obese people and that they can sometimes feel inferior to the ‘norm’ through their encounters with peers, friends and family members on a daily basis. Harvey suggested this inferiority can cause a civilised oppression among obese people. Interestingly when Harvey & Hill investigated the perceptions held by health professionals of obese patients in comparison to smokers it was found that obese people were viewed more negatively than smokers. 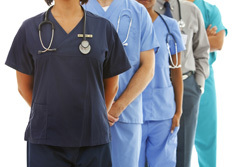 Healthcare staff: Are overweight healthcare staff hypocritical? It has been established that physiotherapists have the skills and knowledge necessary to make a significant impact in this obesity epidemic however do you see it as your problem? MDTs have been shown to be effective but when everyone is involved who then takes the reigns and directs it? There seems to be confusion and crossover between the roles of health professionals in the management of obesity and these must become clearer before any of the excellent proposed strategies to tackle this epidemic can prosper. There are many great reports and recommendations documenting how best to tackle the obesity epidemic including the Obesity Steering Group and the SIGN and NICE guidelines. However, there is a shortage of weight management services, such as the Aintree programme and the GCWMS, available despite their apparent effectiveness and popularity. This is primarily due to a lack of support and insufficient funding to implement these recommendations and other weight management services. Simply put, there is a lot of talk and not enough action! Are we just going to talk our way further into the epidemic as it continually escalates? Or will we actually implement the plans and numerous recommendations made to address this problem? As physiotherapists you should now be realising how the rising trend of obesity affects your working practices. We should be pushing for inclusion to dedicated weight management services and promoting our own specialist field of work! Physiotherapy is constantly evolving; however advancing roles in the prevention and management of obesity need to be supported by robust regulations and infrastructures. Is it time to support the emergence and development of specialist bariatric physiotherapist positions in hospitals and in the community? The current epidemic would certainly suggest so. Whatever the solution, the current economic climate should be viewed as a catalyst for change and development rather than a barrier to progress! ↑ The Age. Obesity more dangerous than terrorism: experts. http://news.theage.com.au/world/obesity-more-dangerous-than-terrorism-experts-20080225-1umw.html (accessed 8 Nov 2012). ↑ 2.0 2.1 Finucane MM, Stevens GA, Cowan MJ, Danaei G, Lin JK, Paciorek CJ, Singh GM, Gutierrez HR, Lu Y, Bahalim AN, Farzadfar F, Riley LM, Ezzat M. National, regional, and global trends in body-mass index since 1980: systematic analysis of health examination surveys and epidemiological studies with 960 country-years and 9.1 million participants. Lancet 2011; 377:557-567. ↑ Government Office for Science: Foresight - Tackling Obesities: Future Choices – Project Report. United Kingdom, 2007. ↑ McCormack B, Stone I. Economic Costs of Obesity and the Case for Government Intervention. Short Science Review. Foresight - Tackling Obesities: Obesity Reviews 2007, 8:161-164. ↑ Grant I, Fischbacher C, Whyte B. Obesity in Scotland – An epidemiology briefing. Edinburgh: NHS National Services Scotland/Scottish Public Health Observatory, 2007. ↑ 7.0 7.1 7.2 7.3 National Institute for Health and Clinical Excellence (NICE). Obesity: the prevention, identification, assessment and management of overweight and obesity in adults and children. http://guidance.nice.org.uk/CG43 (accessed 20 Sept 2012). ↑ 8.0 8.1 8.2 Scottish Intercollegiate Guidelines Network, Part of NHS Quality Improvement Scotland. Management of Obesity: A national clinical guideline. http://www.sign.ac.uk/guidelines/fulltext/115/index.html (accessed 20 Sept 2012). ↑ 9.0 9.1 9.2 9.3 The Chartered Society of Physiotherapy. The Chartered Society of Physiotherapy response to call for evidence. http://www.csp.org.uk/documents/academy-royal-medical-colleges-obesity-steering-group-csp-response-call-evidence (accessed Oct 15 2012). ↑ The NHS Information Centre for health and social care. Health Survey for England 2007: Healthly lifestyles: knowledge, attitudes and behaviour. http://www.ic.nhs.uk/pubs/hse07healthylifestyles (accessed 19 Oct 2012). ↑ The Chartered Society of Physiotherapy. What is physiotherapy? http://www.csp.org.uk/your-health/what-physiotherapy (accessed 18 Oct 2012). ↑ NHSGGC. Glasgow and Clyde Weight Management Service. http://www.nhsggc.org.uk/content/default.asp?page=home_wms (accessed 10 Oct 2012). ↑ Morrison D, Boyle S, Allerdice G, Greenlaw N, Forde L. Evaluation of the first phase of a specialist weight management programme in the UK National Health Service: prospective cohort study. Public Health Nutrition 2011; June;1-11. http://journals.cambridge.org/download.php?file=%2F4186_BAA83569BF1972485B3A99EBDEF8003F_journals__PHN_S1368980011001625a.pdf&cover=Y&code=a2bfbdb9cfeabb8be4a6c55bf429b91c (accessed 22 Oct 2012). ↑ Aintree University Hospitals. Aintree LOSS. http://www.aintreehospitals.nhs.uk/weight_management/aintree_loss.asp (accessed 8 Oct 2012). ↑ The Chartered Society of Physiotherapy. Love Your Body. http://www.csp.org.uk/frontline/article/love-your-body. (accessed Nov 2 2012). ↑ The Chartered Society of Physiotherapy. Agency warns of dangers for obese patients. http://www.csp.org.uk/news/2011/07/27/agency-warns-dangers-obese-patients (accessed Oct 15 2012). ↑ The Chartered Society of Physiotherapy. Bariatric patients ‘being failed’. . http://www.csp.org.uk/frontline/article/bariatric-patients-being-failed (accessed 29 Oct 2012). ↑ The Chartered Society of Physiotherapy. Size Matters. http://www.csp.org.uk/frontline/article/size-matters. (accessed 6 Nov 2012). ↑ NHS Choices. Weight loss surgery. http://www.nhs.uk/conditions/weight-loss-surgery/Pages/Introduction.aspx (accessed 27 Oct 2012). ↑ Hannigan B. Joint working in community mental health: prospects and challenges. Health and Social Care in the Community 1999;7:25-31. ↑ Morris D, Kitchin E, Clark D. Strategies for optimizing nutrition and weight reduction in physical therapy practice: The evidence. Physiotherapy Theory and Practice 2009;25:408–423. ↑ NHS. Issues for our NHS. http://www.nhscampaign.org/ (accessed November 4 2012). ↑ NHS. Obesity. http://www.nhs.uk/Conditions/Obesity/Pages/Treatment.aspx. (accessed November 4 2012). ↑ 24.0 24.1 Werrija M, Jansena A, Mulkensa S, Hermien J, Elgersmab A, Amenta A, Hospersa H. Adding cognitive therapy to dietetic treatment is associated with less relapse in obesity. Journal of Psychosomatic Research 2009;67:315–324. ↑ Miller S, Alpert P, Cross C. Overweight and obesity in nurses, advanced practice nurses, and nurse educators. Journal of the American Academy of Nurse Practitioners 2008;20:259–265. ↑ Rogge M, Greenwald M, Golden A. Obesity, Stigma, and Civilized Oppression. Advances in Nursing Science 2004;27:301–315. ↑ Harvey J. Civilized Oppression. Lanham, Md: Bowman & Littlefield. 1999. ↑ Harvey EL, Hill AJ. Health professionals views of overweight people and smokers. International Journal of Obesity 2001;25:1253–1261.